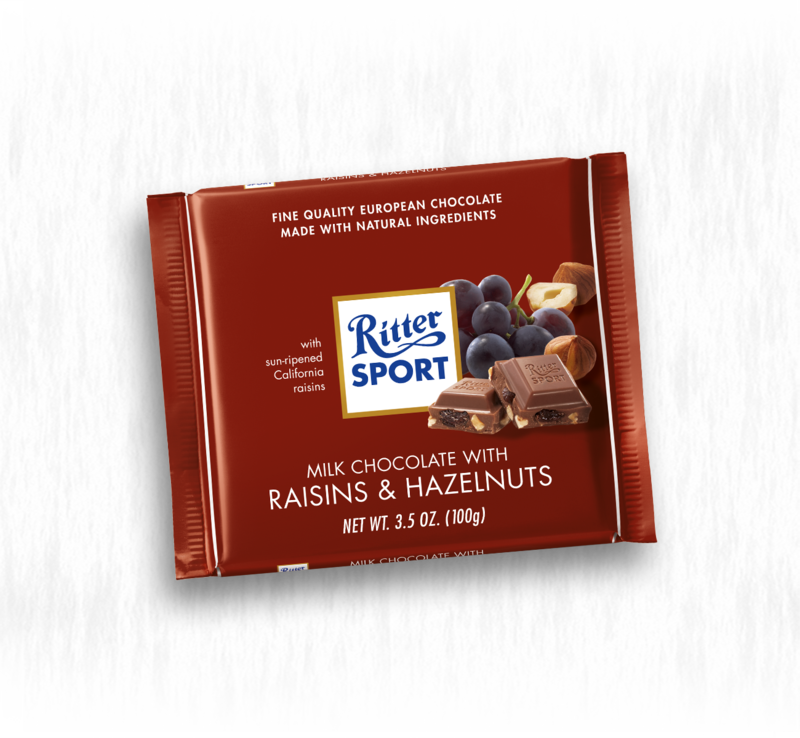 Milk Chocolate with Raisins & Hazelnuts has, as one of the first Ritter Sport chocolate squares, not only a firm place in our assortment, but also in the hearts of many chocolate lovers. This is also certainly due to its many juicy Thompson seedless raisins ripened beneath the California sun. 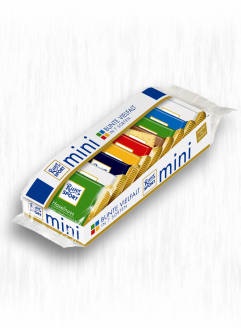 They form the delicious centre of this chocolate creation. However, they would be unhappy raisins if it weren’t for the aromatic taste of crunchy finely chopped roasted hazelnuts. 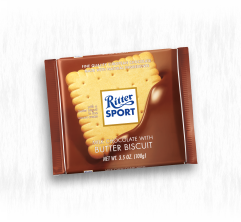 Equally important is the harmonious pairing and full-bodied cocoa flavor of our creamy milk chocolate made with fine cocoa from Papua New Guinea and Madagascar. 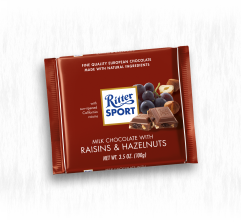 It is only together that this trio of 76% chocolate, 17% raisins and 7% nuts unfurl their famous taste—a taste that is loved by their fans all over the world.